German airline giant Lufthansa reported record profits for 2017, earnings before interest and tax (EBIT) up 45.5 per cent to €3.3 billion ($4.08 billion) - the company's best result in history. The strong increase in EBIT included the positive €582 million ($720.4 million) one-off effect from a collective labour agreement with the pilots union of Lufthansa, Lufthansa Cargo and Germanwings, which was recognised in the income statement in December, the company said. Total revenues for the Lufthansa Group in 2017 amounted to €35.6 billion ($44 billion), a 12.4 per cent increase on the previous year. The group's adjusted EBIT stood at €2.97 billion ($3.6 billion), a significant 69.7 per cent year-on-year improvement. "Our endeavours of the past few years are paying off," said Carsten Spohr, chairman and chief executive of Deutsche Lufthansa. "Our modernisation has a sustainable impact. We have achieved the best result in the history of our company. 2017 was a very good year for our customers, our employees and our shareholders." During the year the group invested approximately €3 billion ($3.7 billion), around a third more than in the previous year. This is partly due to investments of some €900 million ($1.1 billion) into aircraft from the Air Berlin flight operations. "These higher investments also reflect the increased size of our group. But investments relative to revenue remain on one level with the world’s most successful airlines’," said Ulrik Svensson, chief financial officer at Lufthansa. "Important is that the return on capital continues to increase. In 2017, our adjusted return on capital employed (after tax) improved by 4.6 percentage points to 11.6 per cent." The group’s network airlines – Lufthansa, Swiss and Austrian Airlines – increased their adjusted earnings before interest and tax by nearly 50 per cent to some €2.3 billion ($2.8 billion). With strong demand and a positive pricing environment, the network airlines raised their earnings margin 2.6 percentage points to almost 10 per cent, the airline said. Looking ahead, the group predicts that €700 million ($866.5 million) in higher fuel costs could be offset by an improved operating performance, so that for 2018 in total an adjusted EBIT would only be slightly below 2017. Additionally, organic capacity is expected to increase by around 7 per cent, as unit revenues excluding currency factors should remain broadly stable, the company said. 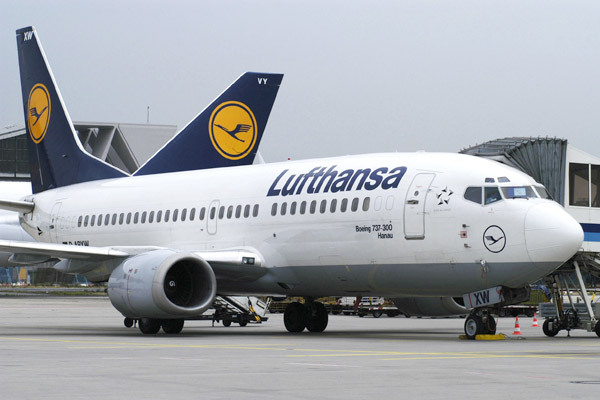 Unit costs excluding fuel and currency factors should be further reduced by 1 to 2 per cent, Lufthansa said.